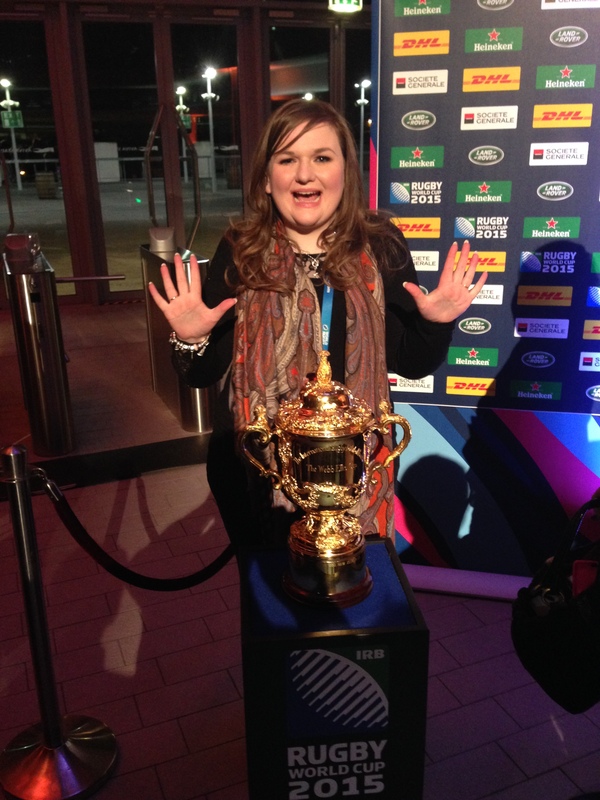 Welcome to “Scrumptious – rugby writing with a twist”! Hopefully the title will give you an idea of what I am trying to achieve with this blog. After having written rugby features on a freelance basis for the Irish Independent online (Ireland’s best selling daily newspaper and most visited news website http://www.independent.ie), from 2011 until the end of 2013, I moved on to what I do now, to writing for the websites of governing bodies such as RBS Six Nations, RaboDirect PRO12 (now Guinness PRO12) and the International Rugby Board (IRB). I have been lucky to travel to as accredited media to New Zealand twice, firstly for the 2011 Rugby World Cup and then back again in June 2012 for Ireland’s three test tour against the All Blacks. I wasn’t expecting to fall in love on those rugby tours but I did! Not with a hot Kiwi hunk but with the country! The people, the culture, the rugby, how similar yet how different it was from home caused me to fall under the spell of the Land of the Long White Cloud! So expect a few Kiwi flavours thrown into this blog. Travelling to New Zealand gave me a real thirst to want to see more of the Southern Hemisphere and particularly what part rugby plays. So, off I went as part of the 2013 British and Irish Lions Tour travelling media circus to Australia. I also fell for Australia big time! Part of what this blog is going to be about are all those experiences from traveling as a journalist that you could not really write about when there are matches, Captain’s Runs, training and press conferences to attend. Sometimes this travelogue will not always be rugby related. There will be stories such as how my brilliant mother accompanied me on the 2012 Tour to NZ and we ended up driving around Christchurch in a Mini Cooper with orange racing stripes in the lashings of rain experiencing some aftershocks from the 2011 earthquake between taking in Ireland and All Blacks training sessions! I have also travelled around to Six Nations games, so expect some stories from London, Cardiff and Edinburgh too! The travelogue will be just one aspect of this blog, though. As the 2014/15 season comes upon us in the Northern Hemisphere, I will be hoping to take a “sideways” view at what should be a cracking season. There will also be lots about what is going on south of the equator. There will be other sports too from time to time. And since “Scrumptious” sounds a little like something cookery related, I will also indulge in posting about another passion – baking! I will try to tie in recipes I picked up on my travels and have a good story behind them. For me writing about rugby has been a privilege. I never would have visited some of the places I did or seen certain things (Ireland beating Australia in the 2011 Rugby World Cup, All Blacks playing their first test after winning the World Cup, Lions players training with disadvantaged school children in Sydney, etc, etc) if I had not been writing about rugby. I hope that will continue into the future and to share those moments on this blog.